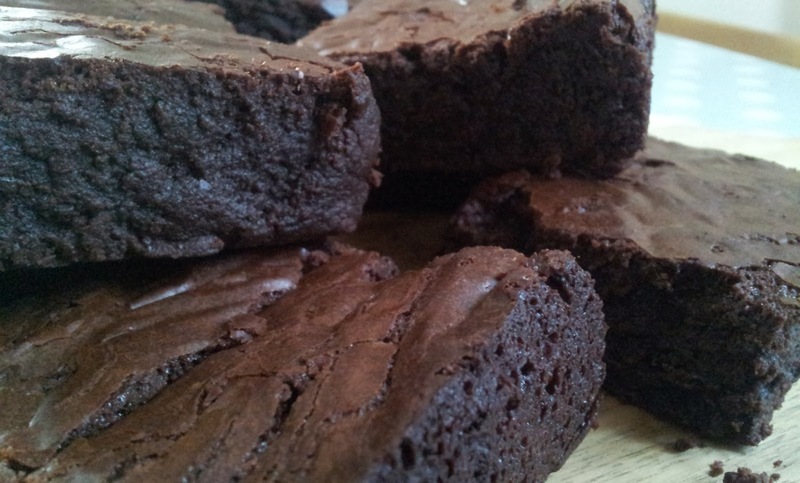 Brownies… Let’s talk about Brownies! I’m always on the search for the best recipe and every time I think I have cracked it, I find another one that seems to beat all others. When we got back from our visit home from Christmas there was a red card from the postman in the hall saying we had a package in the shed. Both of us were confused to what it was but we found the box and discovered it was a cake tin I had ordered from Billingtons using some codes that came with the packs of sugar. In the tin was a brownie recipe and I made a mental note to try it sometime soon. Fast forward a few days later and I was sorting through the cupboards when I came across the end of a bag of dried cranberries. I didn’t want to chuck it cos I hate throwing away food but then I had a lightbulb moment and thought – cranberries – brownie recipe – time to experiment! It was so easy. 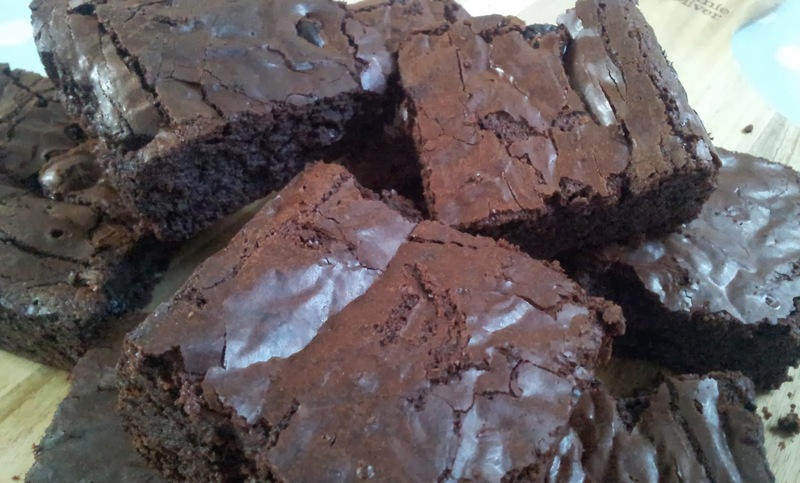 I made up the brownies according to the recipe, added the dried cranberries and baked it in the oven. 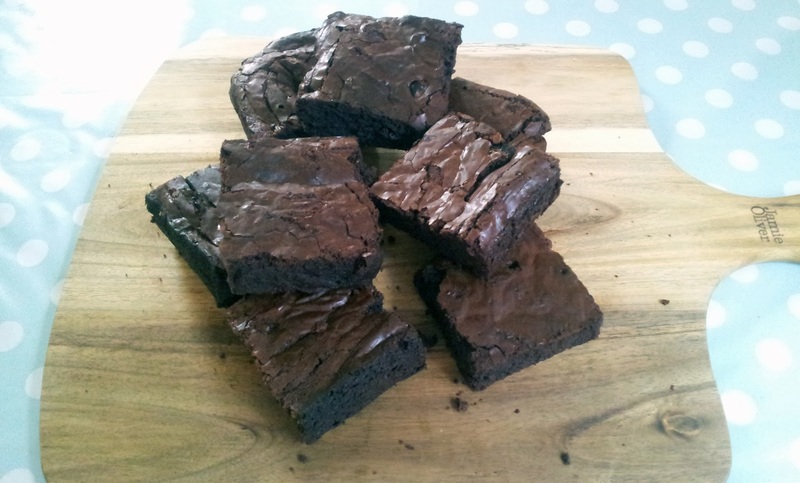 The smell coming from the oven was amazing and they definitely tasted good, so good that I think this might be my new brownie base recipe. It’s a perfect way to use up any dried fruit you might have, thinking about it is really making me crave one right now. 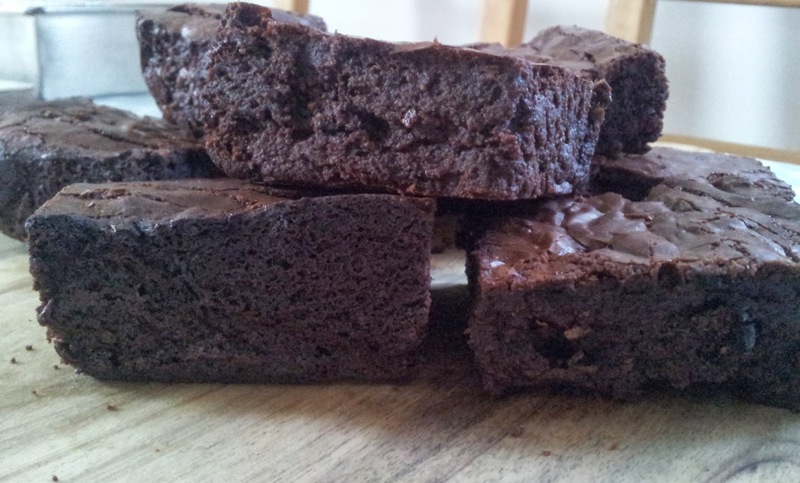 The next step is to try this type of brownie with salted caramel yum! I usually write up blog posts on my lunch hour and this is making me wish we had a cooker at work then I could bake at lunchtime – that would be so amazing. 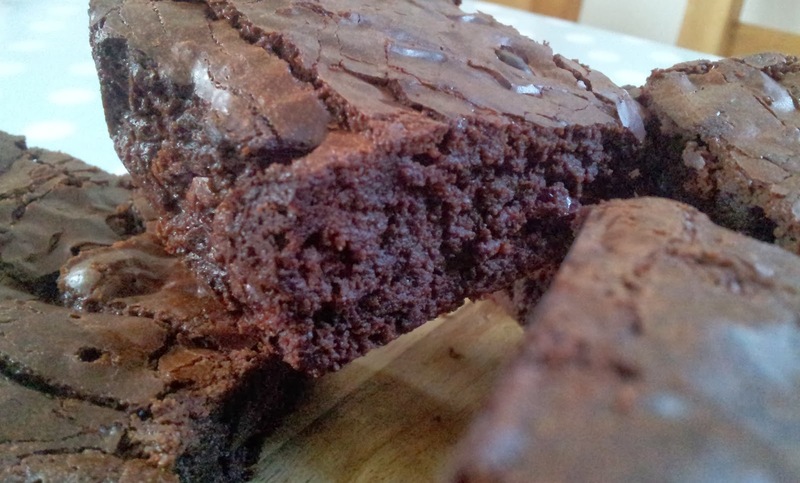 Ok I need to stop dreaming about brownies… here is the recipe. Grease and line a 20cm square tin with baking parchment. Break the chocolate into chunks and melt it and the butter in a heatproof bowl over a pan of simmering water. Whisk the eggs until pale and fluffy then add the sugar and whisk until thick. Once the chocolate is melted fold this into the eggy/sugar mixture. Sift in the flour and fold in until the mixture is smooth. Gently fold in the cranberries and pour into the tin. Bake in the oven for around 35 minutes until there is a firmness on top but still a wee bit soft. Once cool cut into portions and enjoy. You might find it hard to eat only one!